. : ~ PhotoImpact International Members Page ~ :.
.: ~The Magical Villages of Pircville ~ :. Pircville is an ongoing project that members from the entire PhotoImpact community have come together to add to and help make this magical place better each time. Click on the banner to Visit the World map and let your adventure begin. The Town of PIRCVille, Santa's Village, Pircville Halloween, Pircville Cheerleaders, Pircville Wintertime, Santa's Workshop and be sure and visit the latest in our Village the Pircville Zoo. Under the guidance of our zoo expert, artists from the PhotoImpact International Board created animals and habitat for the zoo. It will also be a fun experience to learn about each animal and their biome, and most of all their status. As you will see many of them are endangered. I know you are all anxious to start your visit, remember to always follow the guide if you don't want to miss any exhibits.
.: ~ Time Gone By ~ :. You may remember last year at this time the PII community came together to produce a Moment in Time. All contributors made a graphic in PhotoImpact and wrote a few words on why it was their moment in time. These were all put together into a video with music to make a fantastic montage. Well we have done it again this year. The theme is "Time Gone By". We all have an old cherished photo, a favourite old building, a painting of an ancient artefact or even a new object made to look old. As in last years project anything that fits the theme goes, the only pre-requisite is that PhotoImpact is used in some way to produce the end result. Since so many more people are on broadband this year than last, we will host the end product on this website for viewing or download. The total file size is about 176 MB. If you want to save the DVD to your hard disk, please contact us for the download link. Please add your Name and PhotoImpact Bulletin Board ID, as this downoad is only available to our members.
.: ~ Moment In Time Project September 2005 ~ :. In September 2005 Nick organised a special project for the Bulletin Board. 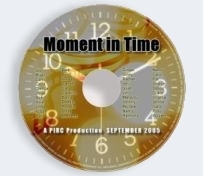 Members from all over the world created their special "Moment in Time" using PhotoImpact. Nick created a wonderful DVD. All participants received a free copy of this DVD sent to their homes. The total file size is about 72 MB. If you want to save the DVD to your hard disk, please contact us. for the download link. Please add your Name and PhotoImpact Bulletin Board ID, as this downoad is only available to our members. Nick, this is a gem to be treasured for a lifetime! Thank you and all the participants so much for sharing!
. : ~Members Recipe Collection ~ :. Members Recipe Collection is brought back to the forum from time to time. But drop in and view The Recipe Collection and enjoy recipes from different countries for all occasions.
.: ~ Spotlight ~ :. Grace Farquhar aka Sparrow- Artist and Manager - January 2008. Debbie Hardisty - Artist and Manager - January 2007. 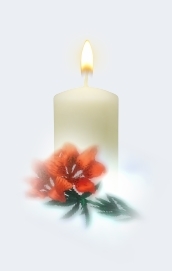 MaryLou White - A Lifetime with Computers - February 2006.
.: ~ In Memory ~ :.
.: ~ Board Members Countries are listed in random order. ~ :. Click on a flag to read about the corresponding country. If you would like your flag added to this page, please let us know. Copyright © PhotoImpact International - All Rights Reserved.